Experience the cleansing of all-natural perfection. For all those lavender lovers out there. 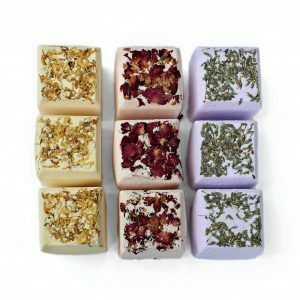 Evoking a fresh, floral and herbaceous aroma that is used in aromatherapy for everything from rejuvenating and inspiring to soothing and relaxing. Hand poured using pure soy wax from US grown soy beans to provide a natural, clean burning candle. Free of harmful toxins, carcinogens and pollutants. Giving you relief from that black smoke and soot you may be used to with other brands. A wood wick crackles while burning to evoke a sensual, peaceful environment when you want to sit back and relax after a stressful day. All scents are formulated and mixed in house, providing you with the most unique products possible. Enjoy! Lavender essential oil is famous for being the ultimate relaxation oil to soothe the mind. Lavender is also used before bed to promote a good nights sleep. Soy wax is clean burning, free of harmful toxins, carcinogens and pollutants. Soy wax lasts longer than other blends, helping you to get more bang for your buck. Wood wicks create an ambiance of sitting around a campfire listening to the crackling of the wood as it burns. Candle jars are 100% reusable. Wash and re-purpose into planters, trinket holders or whatever suits your needs. Urban Pulse will use the information you provide on this form to be in touch with you and to provide updates and marketing. By signing up, I understand I'm opting in for promotional sales and marketing newsletters. Burn Time: Approx. 85 hrs. Ingredients: Pure Soy Wax, Wooden Wick and Lavender Essential Oil. Care: Wooden wicks do need a little attention and love before each burn. Simply snap off the burnt wood along the top of the wick leaving it trimmed to about 1/8" and light as usual. When lighting for the first time you may need to hold the flame to the wick for a few seconds longer than a cotton wick to get the wood started. Don't worry it's normal :) And from there you're all set for a beautiful burn throughout the life of your candle. Allowing the melted wax pool to reach the edges of the jar before blowing out your candle will create a smooth, even burn every time. 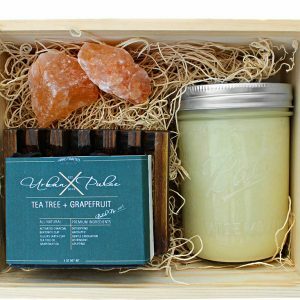 Handmade All-Natural Products: Truly natural and vegan friendly. No artificial ingredients, fragrances, colorants, parabens, SLS or phthalates used. Due to the handmade nature of our products the color and shape may vary slightly. Shipping + Returns: Shipping times vary by location but on average, domestic orders arrive 3-4 business days once shipped out from USPS, give or take a day or two. Feel free to contact us at danielle@urbanpulseco.com for estimated delivery times for international orders. Please see our returns policy on our Terms page and contact us at info@urbanpulseco.com for any further questions regarding returns and exchanges. Created by Ultimate Architect. Copyright © 2019 Urban Pulse. get instant access to an exclusive 30% OFF discount by joining the Urban Pulse VIP's. Urban Pulse will use the information you provide on this form to provide updates and marketing. By signing up, I understand I'm opting in for promotional sales and marketing newsletters.